I want my church to grow. I want your church to grow. But more than anything, I want The Church to grow. I want as many people as possible, all over the world, to know Jesus. The good news of the gospel can’t be confined within the walls of my church, the distinctives of my denomination, the borders of my country, or the customs of my culture. 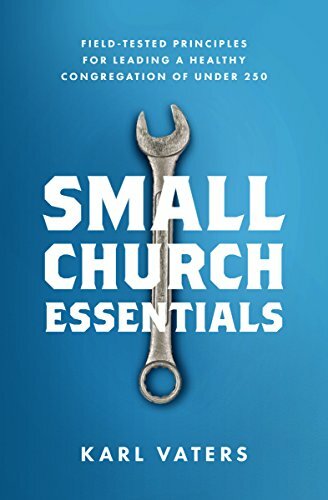 And it’s precisely because I want the gospel of Jesus to reach the greatest number of people, that I am an avid supporter, promoter and encourager of healthy small churches. Big and megachurches are great. And they get almost all the press, both positive and negative. They deserve our prayers and support, not jealousy and ridicule. But, as valuable as they are, large congregations are not where most people receive the bulk of their spiritual nourishment and discipleship. Most of that is happening in millions of small congregations all over the world. For some insight into this phenomenon, check out Is Bigger Really Better? The Statistics actually Say “No”!, by Neil Cole, based on well-researched stats from Ed Stetzer and Christian Schwarz. Cole’s post includes this stunning sentence. “The stats tell us that ten smaller churches of 100 people will accomplish much more than one church of 1000.” Yes, you read that right. Go ahead and re-read it if you need to. I’ll wait. If you could choose to do just one thing to support and strengthen the growth of the church around the world, it’s hard to imagine a better investment than multiplying, encouraging and equipping healthy small churches. In the business world, massive companies like Google, Facebook and Coca-Cola get all the attention. But small businesses are what drive the economy. Big and megachurches get almost all the attention, but small churches drive the growth of the global church. The same is true for the church. Big and megachurches get almost all the attention, but small churches drive the growth of the global church. When was the last time you heard that truth stated? Have you ever? Church leaders and denominational officials often talk about how many small congregations there are. But those stats are almost universally seen as a problem to be fixed, instead of an asset we should support and strengthen. I support small churches, not because numbers don’t matter, but because they do. I’m not settling for less, I’m striving for greater. More people are led to Jesus, discipled and sent into ministry from small churches than by any other means.